The first story about TIME TRAVEL was written in 1733. The first motion picture made in 1921. 57 years ago, from this writing date, 13 year old Lloyd saw George Pal's version of H.G. Wells' 1895 novel "The Time Machine". 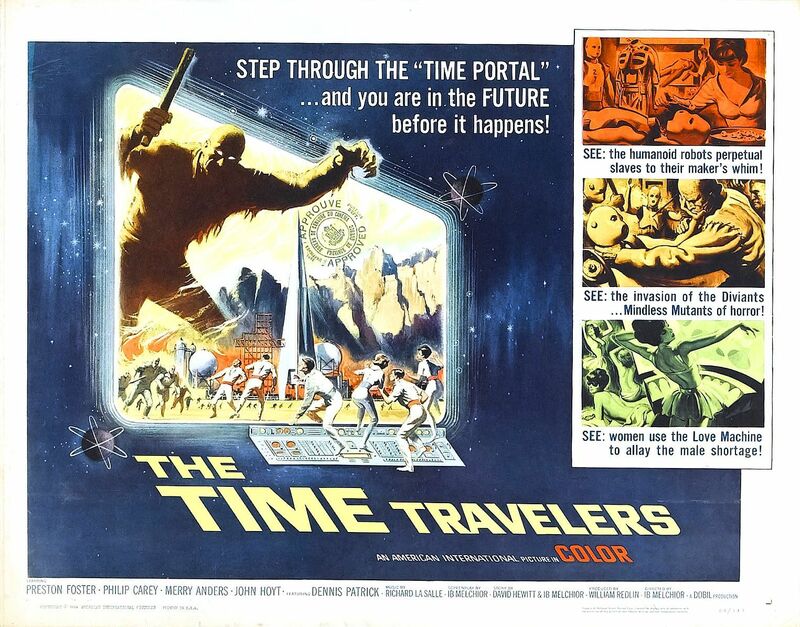 Pal's film stared Australian actor Rod Taylor as the time traveler named George. Not mentioned in this Academy Award winning 1960 motion picture, but indicated on the screenplay is that the full name of Taylor's character was "H. George Wells". 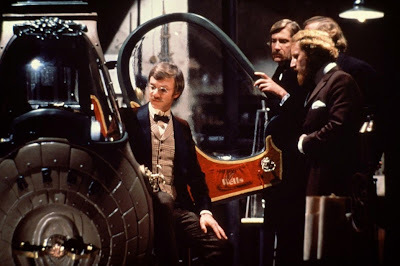 In 1979 screenplay writer and director Nicholas Meyer flipped the story in his picture "Time After Time". Malcolm McDowell was "H.G. Wells" who has actually built his time machine. His friend John Leslie Stevenson, David Warner, steals it and goes forward to 1979 San Francisco. Wells' follows to stop him, because he now knows that Stevenson is actually "Jack the Ripper". In San Francisco Stevenson has become a "Zodiac" like serial killer. Hollywood and other countries have had fun with stories about time traveling over the years, The very first motion picture was a silent movie released in 1921 and based upon Mark Twain's 1889 "A Connecticut Yankee in King Arthur's Court". A tale about a man who travels back to the Court of King Arthur. Between that first Time Travel feature and 2016 there were 183 motion pictures that qualified as being about Time Travel. These included 1944's "Time Flies" from the U.K. A film about a music hall performer using a time machine to return to Elizabethan England. 1969's "Slaughterhouse Five" based upon the classic Kurt Vonnegut novel about "Billy Pilgrim". Then there was Terry Gilliam's 1981 all star cameo adventure about a boy and six dwarves "The Time Bandits". Roger Corman did a Time Traveling twist on Mary Shelley with his outstanding 1990 "Frankenstein Unbound". While 2004's "The Butterfly Effect" attempted to answer the question. What happens if you step on a butterfly in your past and return to your present? Television also was into Time Travel with 71 programs from 1951 through 2016. The first Time Travel program was 1951's "Captain Z-Ro". The Captain and his teenage companions would travel back in time to protect history using his time machine the "ZX-99". On November 23, 1963 the day after President John F. Kennedy was assassinated in Dallas, Texas. In the U.K. the BBC presented a new television program using the same concept as "Captain Z-Ro". As an elderly "Grandfather" and his "Granddaughter Susan Foreman" also traveled back in time to explore history. 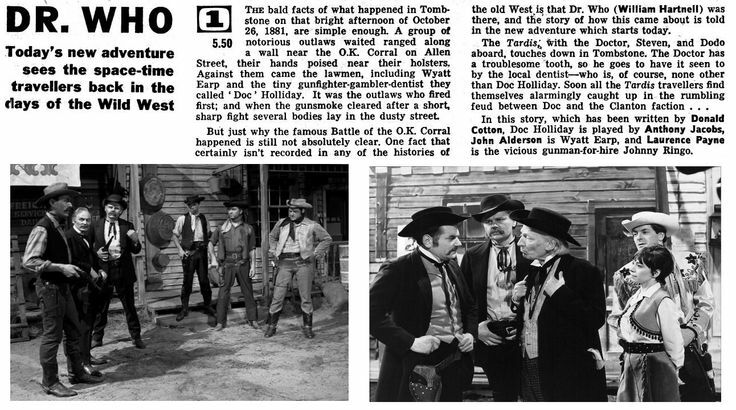 At least for the first season which included the famous "Gunfight at the OK Corral". A blog article is not able to address every picture made, or every reader's favorite. What I will do is look at some examples of Time Travel from around the world to illustrate how both motion pictures and television used the subject over the years. In "Just Imagine", a comedy/musical fantasy, a man in 1930, the year the picture was made, is struck by lightening and is re-awakened in 1980 New York City. The picture starred Irish actress Maureen O'Sullivan, two years away from becoming the first sound "Jane" to Johnny Weismueller's "Tarzan of the Apes" and 15 years from becoming the mother of actress Mia Farrow, as "LN-18". In this future people have numbers not names, travel is not by cars but personal airplanes, sexual activity is controlled and the only legal babies come from vending machines, food is in pill form and there are daily trips to Mars in a Government controlled world. 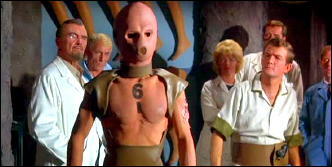 A variation of the story line of "Just Imagine" was used by comedian Woody Allen for 1973's "Sleeper". When Allen's Jazz Musician, naturally, is subjected to cryopreservation by accident and awakes in the year 2173. 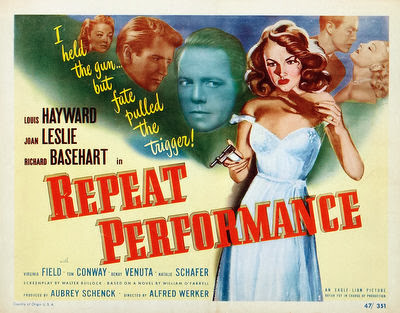 Released on May 22, 1947 was "Repeat Performance". Which has been described as Film Noir meets Science Fiction. 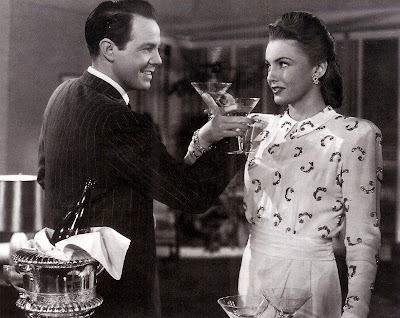 It's New Years Eve 1946 and Joan Leslie as "Sheila Page" is standing with a gun in her hand over the body of her dead husband "Barney Page", Louis Hayward. Sheila goes to her friends for help and makes a wish, at the stroke of midnight bringing in 1947, to relive the past year over again. Suddenly we are back at the start of 1946 and Sheila attempts not to make the mistakes that led to the film's opening scene. However, certain events can't be stopped from repeating themselves. As "Barney" starts to believe "Sheila" is attempting to harm him. His belief comes from certain references she keeps making about what happened before. The movie climaxes once more on New Years Eve as "Barney" violently confronts "Sheila". Enter into the room their friend "William", Richard Basehart. He has come to believe "Sheila" based upon things she predicted would take place. He picks up her gun and kills "Barney" before he kills "Sheila". While I was growing up in the 1950's and 1960's Time Traveling imagination ran wild in motion pictures with 11 entries culminating with Charlton Heston as "George Taylor" in the original "Planet of the Apes". In his third American motion picture Rod Taylor co-starred with Hugh Marlowe, Christopher Dark and Nelson Leigh in 1956's "World Without End". The four men leave the Earth in 1957 only to have something malfunction on their return trip from circling Mars.Their spacecraft accelerates at a speed greater than thought possible and crash lands on a planet were an Atomic War has taken place in it's past. "World Without End" predates the aforementioned "Planet of the Apes", or French author Pierre Boulle's original 1963 novel. As the four men discover, from tombstones in an over grown grave yard, they have returned to Earth. Only as they will be told the year is now 2508. The screenplay is very intelligent and the picture is one of my favorites. The area around what used to be Colorado is now populated by two groups of survivors .One group of men and women appear completely normal, but have a dark secret. The society has been living underground, because of the Atomic War of 2188. As a result the men have become infertile while the women remain fertile. While on the surface of the planet are the descendants of the human race who were mutated by the Atomic War. They also have a secret. Normal babies are being born to them, but these stone age people kill the normal births or enslave them. Such is the future of mankind. In 1952 a real life incident occurred which resulted in both a craze for hypnotism and the idea of reincarnation. A Colorado businessman and amateur hypnotist Morey Bernstein was giving a presentation and Colorado housewife Virginia Tighe volunteered to be put under regression hypnosis. The result was her claim to be "Bridey Murphy" an Irish women who lived 59 years before Virginia Tighe was born. Newspapers sent reporters to Ireland to investigate, if such a women existed. In 1956 Bernstein published his book "The Search for Bridey Murphy". In which, for her protection, changed the names of Virginia and her husband to Ruth and Tex Simmons. The book kept the American public enthralled with the idea of reincarnation and of course both motion pictures and television couldn't pass the concept up. Which was used as a form of Time Travel in some of them. Screenplay writer Noel Langley brought Morey Bernstein's book directly to the motion picture screen is a quickie 1956 film. Bernstein was portrayed by Louis Hayward, his wife by Nancy Gates, Ruth Simmons by Teresa Wright and her husband "Tex" by Kenneth Tobey. A small independent motion picture company, Golden State Productions, one of the studios that would be folded into American International Pictures. Also made a 1956 picture based upon reincarnation stirred by the Bridey Murphy case. 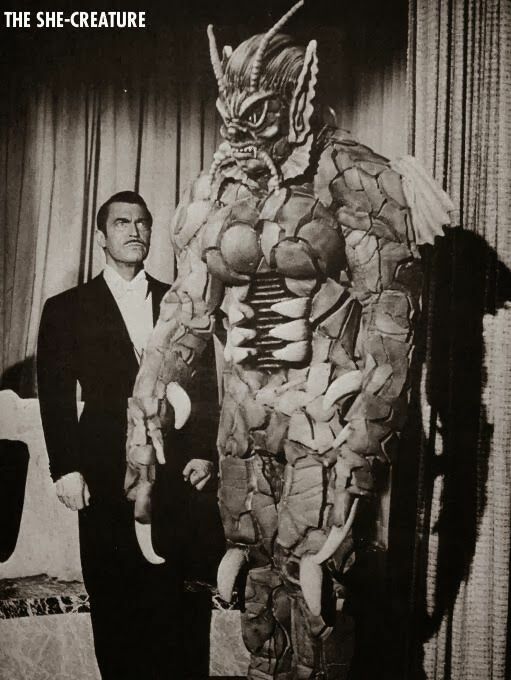 "The She Creature" had hypnotist "Dr. Carlo Lombardi", veteran actor Chester Morris, regress his assistant "Andrea Talbott", Marla English, to a past life, brought forward, for the purpose of killing his enemies. 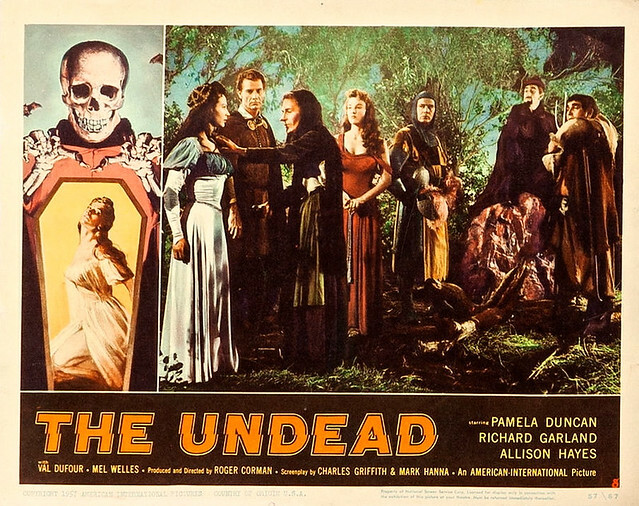 The following year Producer/Director Roger Corman used hypnosis and reincarnation as a means of Time Travel in "The Undead". The initial tie in to the Bridey Murphy case was the working title for the picture was "The Trance of Diana Love". Val Dufour plays psychic researcher "Quintus Ratcliff". Who sends the mind of prostitute "Diana Love" back to the Middle Ages. There "Diana's" modern mind occupies the mind of "Helene". She is to be put to death in the morning as a witch. "Diana's" mind convinces and helps "Helene" to escape the prison holding her. Her escape brings "Diana/Helene" to the attention of the real witch "Livia", Allison Hayes, and in turn "Satan", Richard Devon, himself. Back in 1957 "Quintus" has been monitoring all that is happening through "Diana's" trance. The Time Travel aspect of the story takes places after "Ratcliff' realizes instead of saving herself from being burned at the stake. "Diana" has decided to let her "Helene" self die. This upsets the plans of the psychic researcher who wanted to see what happens to history once "Helene" is saved. "Quintus" theorizes that if "Helene" is saved. All the other reincarnated lives, including "Diana", will never be born. So he uses his link to "Diana's" mind to send himself back in time to prevent the girl's death. The story ends with "Helene" dying, "Diana" awaking back in the present and "Ratcliff" trapped in the past, because there is no psychic link to "Diana". Only his empty clothing remains in the chair the researcher had used to send himself to the Middle Ages. On television between 1959 and 1960 was a Time Traveling talking dog, "Mr. Peabody", and his pet boy "Sherman". I would be amiss if I didn't mention "Peabody's Improbable History" as part of Jay Ward's "The Rocky and Bullwinkle Show". In December of 1995 director Terry Gilliam brought his audience Bruce Willis, Brad Pitt and Madeleine Stowe in the Time Traveling picture "12 Monkeys". However, this two hour and nine minute science fiction motion picture was actually based upon a 28 minute long 1962 French short film entitled "La Jetee (The Jetty)"
The title refers to an outdoor viewing platform at Orly Airport. Where a man saw a women standing prior to World War 3. This memory enables French scientists, living underground in destroyed future Paris, to send that man, a jailed prisoner, into his own past. For some unknown reason the prisoner has been obsessed with this memory all his life and doesn't know why. The picture, except one scene, in which the women wakes up, are all still photographs with a narrator telling the story. When the man first saw the women he was a small boy. Back in his past he now falls in love with her and wants to remain permanently in that time. After first bringing him back and then sending the man into the future beyond the time the story takes place. The scientists agree with his request and return the Time Traveler to the Jetty. Where the man happily sees the women he loves. However, the prisoner also notices one of his jailers sent to his past from future Paris. At this point the Time Traveler realizes, as a young boy, the incident that haunted him was his own death. In 1964 Ib Melchior, "The Angry Red Planet", "Reptilicus" and "Gigantis, the Fire Monster" (the English language version of Godzilla's Counter Attack or Godzilla Raids Again)", wrote a new story about time travel. 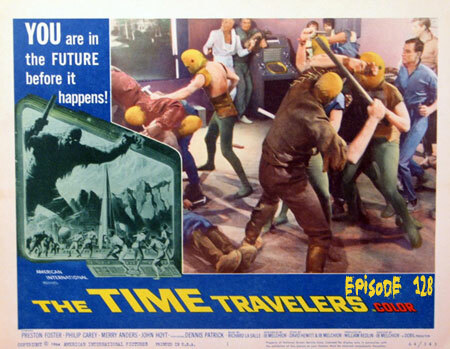 The working title was "Time Trap", a more descriptive one, but it became "The Time Travelers". The film had a lower budget than Melchior wanted, this was an American International release, and reviewers of this interesting tale point out he used every cent. The cast was headed by four solid actors from the 1940's and 1950's. Preston Foster, "Dr X", "Northwest Mounted Police" and the 1950's television show "Waterfront" was "Dr. Eric von Steiner",. Mary Anders, 1950 television show "How to Marry a Millionaire", the movies "Desk Set" and the thriller "The Hypnotic Eye" played "Carol White"
John Hoyt, "When Worlds Collide", "Attack of the Puppet People" was "Dr Varno" from the future. The film opens with "Dr. Steiner", "Dr. Connors" and "Carol White testing a screen designed to see into the future, or past. Power Plant Technician "Danny McKee", Steve Franken, arrives to give them an order to shut down their test as it is taking too much energy to run. The warning comes to late and there is a large power surge seemingly shutting everything down. Just before the power surge "Carol White" thinks she saw some strange shadows pass the group. The screen is now blank and appears to have been destroyed, but "Danny McKee" goes over to it and discovers its open to something on the other side. The screen has become a "Portal" to the future and the group steps through it. 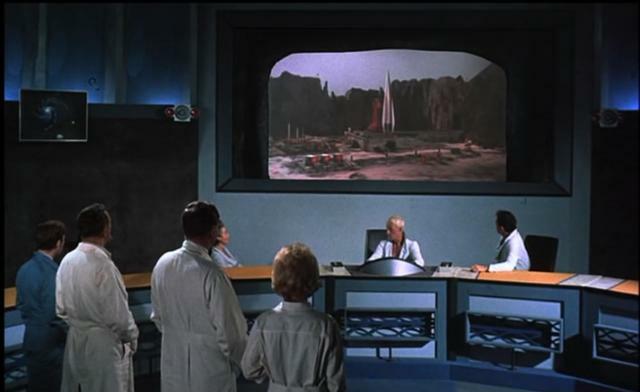 Above the lab can be seen through the screen as "Doctor's Steiner and Connors with Carol White" look at it from the desolate future Earth. The year is 2017 A.D. and I don't think Ib Melchior and his crew got the year quite right as I remember it. In the future humans work along side humans are androids. Apparently the Earth has become unstable and can not sustain life. The future inhabitants are building a space ship in a supposedly securee location to take them to an Earth like planet circling Alpha Centuri. The scientists from the past help those from the future to build the craft. Unfortunately, mutant humans break in and destroy the space craft and the facility. "Dr/ Steiner" suggests reconstructing a "Portal" and using it to save the human race by going back in time. It becomes operational and reveals the lab from the start of the picture. "Dr. Varna" is gathering his people together when the mutants attack. The four people from the past enter the :Portal" followed by "Dr. Varna's now small group", but the mutants approach it. Someone throws a object into the controls on the future side making it impossible for the mutants to actually enter. Everyone emerges on the other side to find "Dr. Steiner", "Dr. Connors", "Carol White" and "Danny McKee" frozen like statues, or as they realize actually alive and moving at an extremely slow rate of speed.. The group form the future is out of sync with the past, but again somebody enters the portal to discover an Earth further in the future that has been renewed and livable. The group enters. At this point the people in the lab return to their normal speed and "Carol White' makes her comment about shadows. Then Ib Melchior has everything we have seen repeated at a faster and faster speed. The "Time Trap" has been sprung and new time lines just keep repeating and repeating. 1965 and 1966 saw Peter Cushing as the in "Dr. Who and the Daleks" and "Daleks-Invasion Earth 2150 A.D.". These two movies were aimed more at a younger audience than the television show and this doctor is actually human. As a result Peter Cushing's "Dr. Who" is not considered canon and causes major arguments between "Whovians" even today. 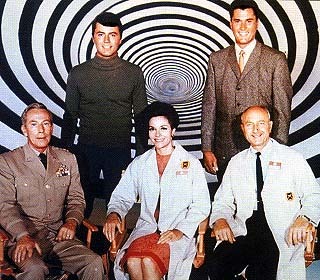 Also in 1966 producer Irwin Allen got into the television Time Travel act with his |"Time Tunnel" starring James Darren, Robert Colbery, Whit Bissell, Lee Meriwether and John Zaremba. The show became popular, after it was off the air, but it was only one season of 30 episodes. Overlooked and short lived was another Time Traveling show from 1966 "It's About Time". While Irwin Allen's supposedly serious show was on ABC. The comedy "It's About Time" ran during the same time slot on CBS for 26 episodes. 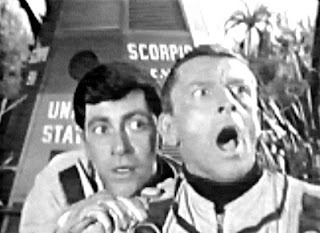 Two astronauts "Mac McKenzie", Frank Atletter, and "Hector Canfield", Jack Mullaney, travel faster than the speed of light causing their spacecraft to go back in time to the Stone Age. There they meet cave dweller "Shad", played by comedian Imogene Coca, and he husband "Gronk" played by comedian "Joe E. Ross". Also in the cast was Mike Mazurki as "Clon". 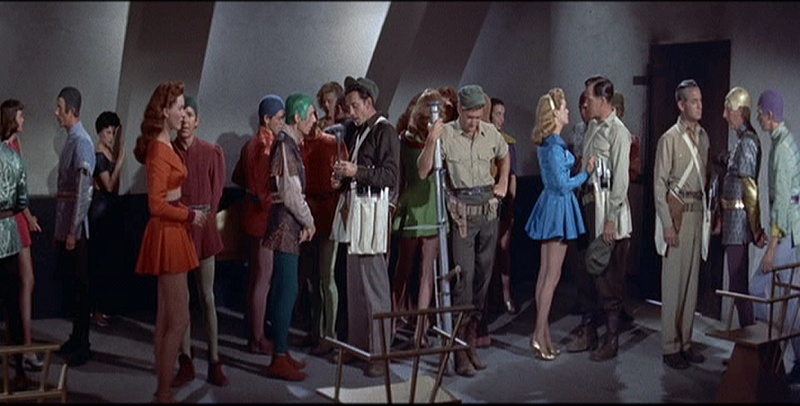 After some of the show's episodes the two astronauts are able to return to the 20th Century, but accidentally bring the cave family along. 1968, as I previously commented, saw the original "Planet of the Apes" released with a screenplay co-written by Rod Sterling. The picture would eventually be followed by 1970's "Beneath the Planet of the Apes" and 1971's "Escape from the Planet of Apes". These first three "Ape" films revolved around Time Travel. The first two to the future and the third to the past and the start of the cycle that brought on the world of the Apes. On February 15, 1970 the ITV Network in the UK launched a new show "Catweazle". The title character is a 11th Century Wizard who travels through time by immersing himself entirely in water. He arrives in 1969 London and befriends a young red-headed boy nicknamed "Carrot". "Catweazle" of course considers all modern technology as magic and gets himself in all kinds of trouble. At the same time another Time Travel program for ITV entitled "Timeslip" premiered. 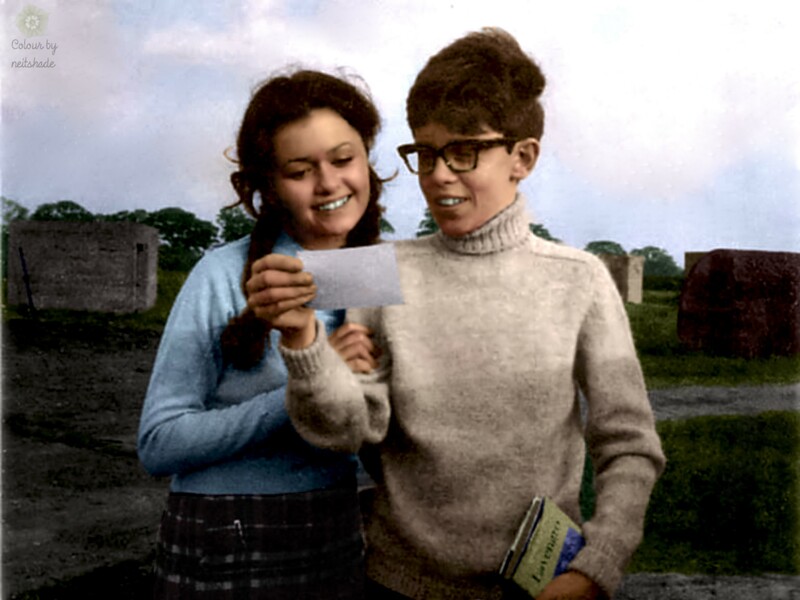 Two British children "Simon Randall" and "Liz Skinner" discover the "Time Barrier" which permits them to travel to different alternate historical periods in the past and future. It wouldn't be until 1974 before the United States had another Time Traveling television program and like ITV it would be aimed at children. The show was Sid and Marty Kroft's "The Land of the Lost". In 1963 he co-starred in "Tammy and the Schmuck Face", oops, I meant "Tammy and the Doctor", inside joke here. 1966 saw him as "Heavenly Blues" the leader of "The Wild Angels", a favorite. The following year he took "The Trip". In an LSD inspired screenplay by his friend Jack Nicholson. 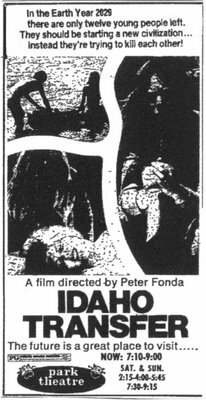 In 1969 he was the "Easy Rider" and on June 15, 1973 "Idaho Transfer" was released directed by Peter Fonda and produced by his Pando Company. The film didn't go far because the distribution company apparently went bankrupt. In Idaho near "The Craters of the Moon Natural Monument and Preserve" a group of scientists have discovered two things. Somehow they know that not too far into future Earth. The planet was have become affected by an ecological catastrophe that is depopulating the planet. These eco-scientists invent the "Transfer" machine to send present day people to the future to help repopulate the Idaho area. However, there is a "Catch-22" to their idea. The "Transfer" process will kill almost anyone over 20 years of age. A group of young people, including a girl named Karen, are sent to future Idaho, but will become trapped there when the Government shuts down the project. The future world is not what the scientists imagined as the group of young people including Keith Carradine, below, soon discover. Also their own health is deteriorating, even with their young age, followed by death for some and infighting resulting in murder. Eventually there is only Karen remaining. She finds a way back to a "Transfer" station and decides to go further into the future. A further future were Karen will discover the truth about all the dead people in body bags in a seemingly abandoned train car and what the 1973 scientists could never have imagined. As Karen walks on a seemingly deserted highway a futurist looking car comes along with a family of three. A little girl, her father and mother. Instead of being given a lift. They lock her in the car's trunk as the little girl asks her father what will happen when they run out of people from the past? The father tells her they will need to find another "Fuel" source and eventually use themselves. The movie is very interesting and better than you may think. Obviously Peter Fonda had a major budget problem and the dialogue and acting is close to terrible, but I liked the picture when I saw it. The movie's title in English is either: "Ivan Vasilievich Changes Professions", or after 1985 it was available for home viewing as "Ivan Vasilevich: Back to the Future" in the United States for obvious reasons. This Soviet Union Time Travel film has a Mechanical Engineer named "Alexsandr Demyanenko" building a time machine in his apartment. By accident he sends the building superintendent and a burglar back to the time of "Czar Ivan IV aka: Ivan the Terrible". While bringing the Czar into his apartment and then the fun starts. Eventually everything will be straightened out at the pictures end. The film was the most popular 1973 picture in the Soviet Union selling 60 million tickets. One of this blogger's favorite Time Travel motion pictures came out in 1980 starring Kirk Douglas, Martin Sheen, Katherine Ross and James Farentino. 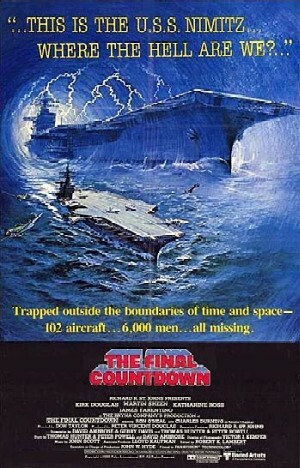 The title was "The Final Countdown" and the screenplay was extremely well written and thought out. Imagine you are the Captain of the Nuclear Powered Aircraft Carrier Nimitz and you have left Pearl Harbor on December 6, 1980. Suddenly there is a freak electrical storm that your ship enters, but the storm turns out to be a time vortex. You now find yourself on December 6, 1941 and have the power to stop the Japanese fleet from attacking Pearl Harbor. What do you do? That question becomes the basis for discussion among the Captain, the Air Boss and a representative of a major industrialist. The three of course know where the Japanese fleet is and how they will approach Hawaii, but also they have two added problems. One is the ship has rescued a downed 1941 Japanese Zero pilot. He just attacked and sunk a pleasure yacht giving them their second problem. 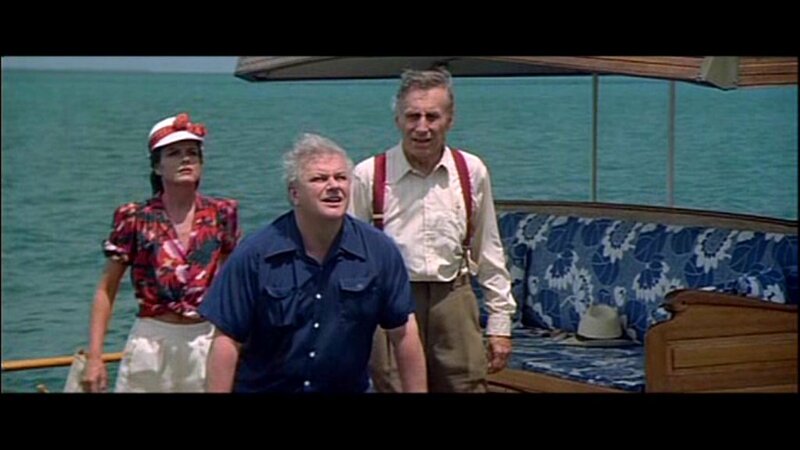 On the yacht is a United States Senator and his Secretary. How do you explain yourself and keep a cover story that you're not from the future? If my reader is a World War 2 buff, like myself, this film will not let you down, or if your just a science fiction fan. Again this is an excellent well acted movie with a twist, or two, or three. Some of the other time traveler feature films of the decade of the 1980's included the original "The Terminator"and the first two parts of the "Back to the Future" trilogy. Along with "Star Trek IV: the Voyage Home", the Walt Disney Company's "The Flight of the Navigator", "The Philadelphia Experiment", the romantic comedy/drama "Peggy Sue Got Married" and the first film in the low budget, but fun "Trancers" series about character "Jack Deth". Although television would only add three Time Travel programs. One of the three, in March 1989. was the start of what would be five seasons of "Quantum Leap" starring Scott Bakula and Dean Stockwell. 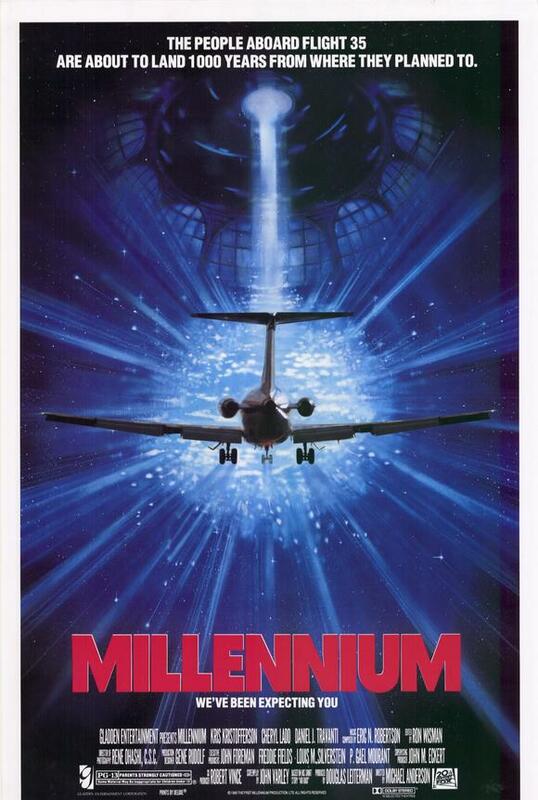 In that group of motion pictures was also the very interesting Canadian feature "Millennium" starring Kris Kristofferson and Cheryl Ladd. They're dead! All of them! They're burned up! Theoretical physicist "Dr.Arnold Mayer", Daniel J. Travanti, theories that for some reason people from the future are responsible for the burned bodies the flight engineer saw prior to the crash. Our future Earth is polluted and these future visitors are replacing people who will die in accidents with other bodies and taking the still living person to their future. Where they then send them further into our future after the pollution has cleared to repopulate the Earth. In the airplane crash it wasn't expected that the flight engineer would see the dead passengers before the cockpit crew was replaced. One of the chain smoking visitors is "Louise Baltimore", Ladd, who over several meetings with "Bill Smith" falls in love with him. All this time traveling is causing "Timequakes", in the future, each time somebody travels through "The Gate". Dr. Mayer as a young boy had been on a plane in 1963 when a mission from the future went wrong and one of the team is killed. On that mission she drops a weapon that the young boy takes and as an adult will lead him to start developing Time Travel. His work will lead to the creation of "The Gate".Very similar to the one in 1994's "Stargate". NTSB Investigator "Smith" finds a similar weapon in the wreckage of an airplane and as the two men are discussing it "Louise" appears. She has been sent to ask them to forget what they have learned. There is an accident with one of the weapons and "Dr. Mayer" is killed. As he wasn't suppose to die this now creates a "Time Paradox" in the future and speeds up the destruction from the "Timequakes". For those of my readers who have never seen this little gem. I highly recommend it. 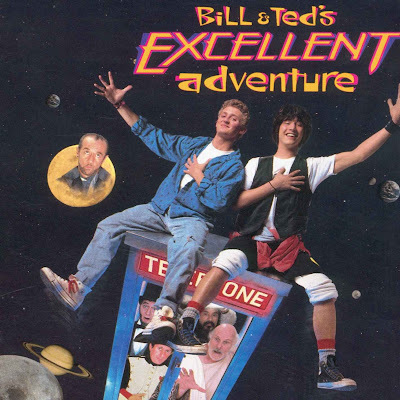 In a completely different direction was 1989's "Bill and Ted's Excellent Adventure". This "Most Excellent" Time Travel film stars Keanu Reeves as " Ted 'Theodore' Logan" and Alex Winter as "Bill S. Preston, Esq,". In the year 2688 the Grand Council decides to send "Rufus", George Carlin, back to make sure "The Great Ones", "Bill and Ted", pass their history exam. Otherwise the future Musical Utopian world will never exist. "Rufus" arrives in San Dimas, California, used for exterior establishing shots as the movie was actually shot in Scotsdale, Arizona, in a Time Machine. 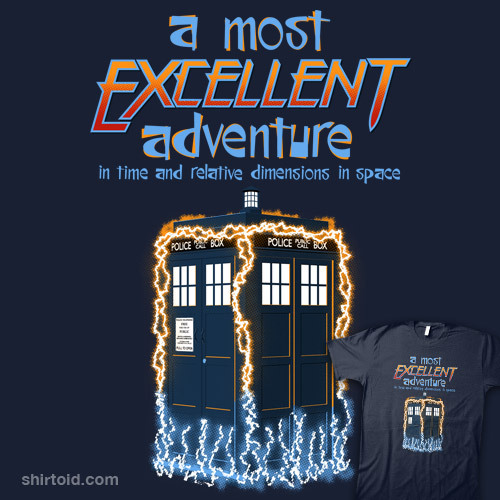 In a subtle reference to the British television show "Dr. Who's" "TARDIS". 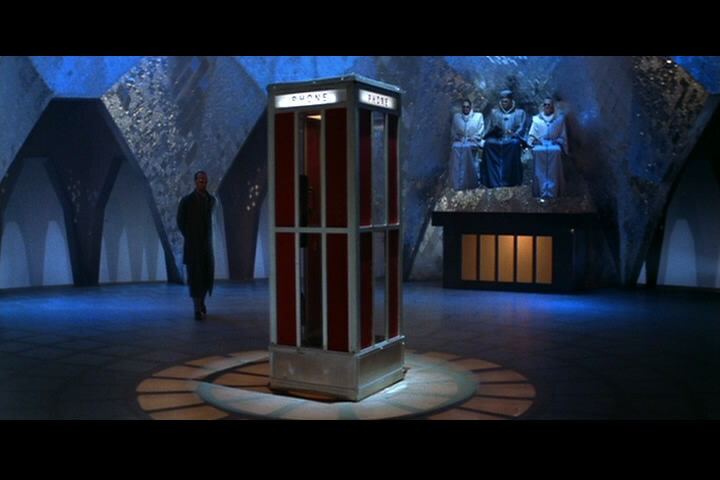 The time machine is a "Telephone Booth". Below Rufus with the telephone booth time machine. Below an ad for a T-Shirt that joins to the two together. How to describe "Bill" and "Ted"? Two Best Buds, since childhood, stoned on "Heavy Metal Music" with a dream of forming a band, but also without apparent talent. However, before they can attempt to make their dream come true. They must present a history report to both their History class teacher and the rest of the class in the San Dimas High auditorium. Problem is the two are clueless about history beyond, maybe, the day before. Enter "Rufus" and his phone booth. The menu is printed as a tabloid-style newspaper. It features appetizers, sandwiches, burgers, and dozens of different sundaes, as well as malts, shakes, sodas, and floats. Unusual offerings include a glass of soda water for 2 cents, and the traditional free sundae for customers celebrating a birthday. Some of the sundaes are huge and intended for a group to share. The largest, the "Zoo" sundae, is delivered with great fanfare by multiple employees carrying it wildly around the restaurant on a stretcher accompanied by the sound of ambulance sirens. Along with "Napoleon" our two future "Great Ones". Bring back "Billy the Kid", "Socrates", "Joan of Arc", "Sigmund Freud", "Genghis Khan", "Beethoven" and "Abraham Lincoln". Add to this that their girlfriends turn out to be two of the daughters of "Henry VI and you have a great Time Traveling trip and an "A" on their report. From 1990 to 1991 were 21 episodes of an animated spin off of the motion picture. Another movie turned into an animated series was "Back to the Future". It ran from 1991 into 1992 for 26 episodes. As for the motion picture screen. 35 more films were released in the decade of the 1990's and some were very intriguing, if not always plausible. "Aditya 369" is the name of a time machine created by your normal absented minded professor. In this case in the country of India. Professor Ramdas works in his home lab attempting to invent a time machine. One day Ramdas' inquisitive daughter Hema is showing her fiancee Krishna Kumar dad's newest invention. A mistake, if ever there was one. As the two are accidentally sent first into India's past during the Krishnadevarya period 1509 to 1529. Then "Aditya 369" sends the couple not home, but to India's future after an Atomic World War 3. The following picture is of the cast and crew. December 14, 1991 the Japanese motion picture studio Toho released a Franchised feature that involved time travel and "Gojira/Godzilla". The plot has caused some viewer confusion and at the least discussion since its release. The following is a look at the three pictures that preceded this specific entry and the final entry of the "Hesei Period" that followed. Along with how they related to the Time Traveling plot. Back on November 3, 1954, during Japan's historical "Showa Period", started on December 25, 1926 with the reign of Emperor Hirohito, the original "Gojira" was first shown in Japan. The 98 minute picture, from Toho Studios, was about a Jurassic Age dinosaur exposed to the American Castle-Bravo H-Bomb Test on Bikini Atoll. Within the feature's plot this dinosaur becomes the allegorical Atomic Bombs dropped on Hiroshima and Nagasaki in 1945. Also weaved within the story is a love triangle between "Emiko Yamane", brilliant scientist "Dr. Serizawa" and a sea captain for the Nankai Salvage Company "Hideto Ogata". At pictures end "Dr Serizawa's" Oxygen Destroyer is released in the Sea of Japan killing and dissolving "Gojira". The doctor commits suicide with the creature. So that mankind will not know how to create his terrible weapon, but before he cuts his air hose. "Serizawa" wishes Emiko and Ogata a good life together. 30 years later, now during Japan's "Hesei Period" started the day after the death of Emperor Hirohito, Toho Studios released another film entitled "Gojira". This was not tied to the plot of the original 1954 film and celebrated "Gojira's", not "Godzilla's" 30th Anniversary. The audience first sees reporter "Goro Maki" on a small boat watch as "Gojira"emerges from Mt Mihara. Where apparently he has went the last 30 years in hibernation after destroying Tokyo in 1954. The origin of this new version of "Gojira" is not mentioned in this picture. Besides "Maki" other characters in this new film such as "Professor Makoto Hayashida". his parents were killed by "Gojira" when he was a child, and the Japanese Prime Minister remember the 1954 attack and immediate disappearance of the creature. After this "Gojira" again attacks the island nation of Japan. The "Hesei Gojira" is lured by the sounds made by birds back into Mt. Mihara to return to hibernation at the film's conclusion. Five years later Toho Studios decided to make a sequel to their 1984 motion picture. On December 16, 1989 "Gojira tai Biorante (Godzilla vs Biollante)" was released. The screen play by Kazuki Omori is excellent, but all my reader needs to know about this motion picture. Is that the plot is directly tied to the 1984 feature and "Gojira" is awaken by explosives set off on Mt. Mihara. At the end he destroys the part human/part plant "Biollante" and enters the Sea of Japan. Move forward two more years to December 14, 1991 and Toho released the Time Traveling film associated with this article "Gojira tai Kingu Gidora (Godzilla vs King Ghidorah)". This story has another investigative reporter "Kenichiro Terasawa" looking into a report that a living dinosaur had been seen by a Japanese army garrison on Lagos Island during World War 2. "Terasawa" believes that dinosaur became the 1954 "Gojira" that attacked Tokyo, went into a 30 year hibernation and followed the events of the first two "Hesei" motion pictures. Additionally the current Japanese Prime Minister, G-Force's "Miki Saegusa" and "Professor Mazari" mention the 1954 Tokyo incident in the first part of this feature. To this point all three "Hesei Era" motion pictures have followed a progressive story line. 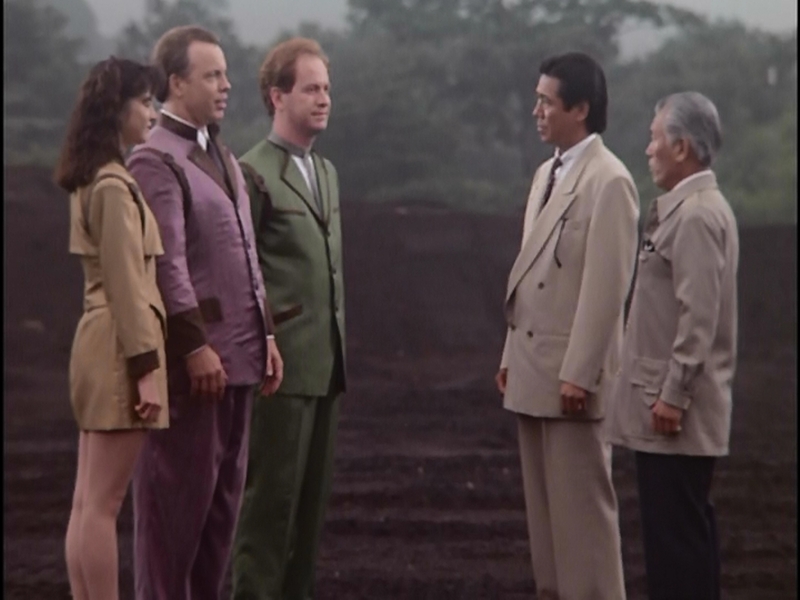 Then Kazuki Omori's screenplay introduces a U.F.O. that turns out to be a time machine containing "Wilson", "Grenchko" and "Emmy Kano" from the year 2204. They claim that "Gojira" will completely destroy Japan and the island nation will never recover. The "Futurian's" have a plan to prevent this from ever happening. The "Furturian's" take investigative reporter "Terasawa", "Miki Saegusa" and "Professor Mazaki" with them and travel back to the year 1944 and Lagos Island. They locate the living dinosaur, but after a fire fight ,with U.S. Marines, the dinosaur appears to be dying. The "Futurian's" robot "M-11" uses teleportation to move it into the Bering Strait. Thereby preventing this dinosaur from being exposed to a radioactive cloud that passed over Lagos in 1954. The cloud was the result of the same Castle-Bravo H-Bomb Test by the United States that created the "Showa Era Gojira" I first mentioned. However, unknown to the three present day passengers. Kazuki Omori's screenplay has Emmy let three cute "Dorats" out of the time machine in 1944, before the movement of the dinosaur by "M-11". Returning to their present. The time travelers find Japan is under attack by a creature known as "King Ghidorah". This flying creature was created when that radioactive cloud from the Castle Bravo Test still passed over Lagos Island and mutated the three "Dorats" into it. Omori doesn't explain how for 48 years, from 1944 to the year of his present day story 1992, nobody on Earth knew of either the "Dorats", or "King Ghidorah" on Lagos until the attack on Japan, Even though the Japanese garrison was still there until it was relieved at the end of World War 2 and American scientists checked all islands possibly exposed to a radioactive cloud after the 1954 test. 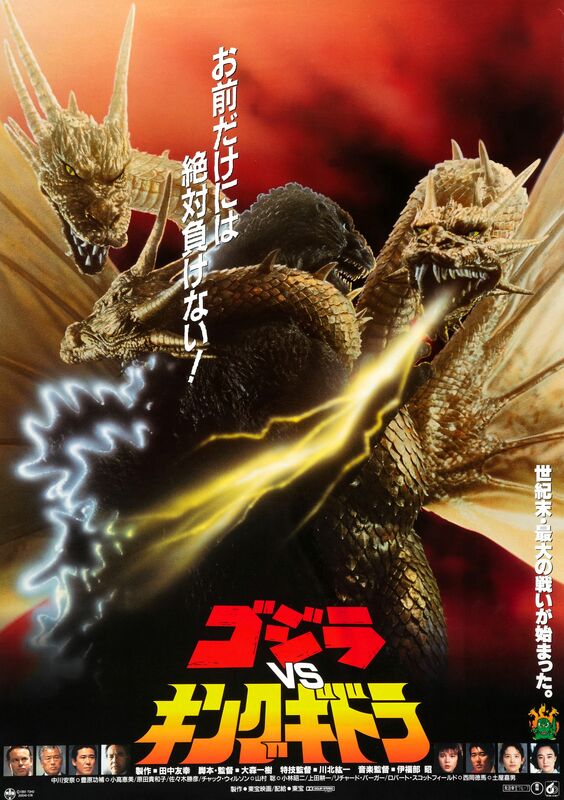 "Gojira" now reappears to battle "King Ghidorah", but is larger than the 1954 version mentioned in the first two "Hesei Era" features. That "Gojira" seen through the first 1/3rd of this picture was 262 feet high and the version, after the dinosaur on Lagos Island having been moved, is 328 feet. When she first sees the new "Gojira". "Miki" remarks this isn't "Our Gojira". Of course she remembers the original having been in the time craft, but so seems the Prime Minister and the man who commanded the Japanese garrison on Lagos Island back in 1944. Why others, than those within the time craft, remember the first "Hesei Gojira" is never answered by Kazuki Omori's screenplay. "Terazawa" now goes to investigate how the new "Gojira" was created. According to the reporter there was a Russian Nuclear submarine that sank in the Bering Strait on some unspecified date and year during the 1970's. So he theorizes that perhaps waste from the subs reactor's caused the mutation of the moved Lagos Island Dinosaur. The source of "Terasawa's" information is an old newspaper article he found in the "Archives at Mu". Omori's screenplay does not explain what or where "Mu" is, or how in such a short time starting backwards from 1992, or forwards from 1944. "Terasawa" was able to locate one specific newspaper article about a Russian submarine to make his deduction. Kazuki Omori also doesn't answer the obvious question, if the second version of the "Hesei Gojira" was created in the 1970's. What happened to Japan's previous history mentioned in the first two motion pictures of this series? 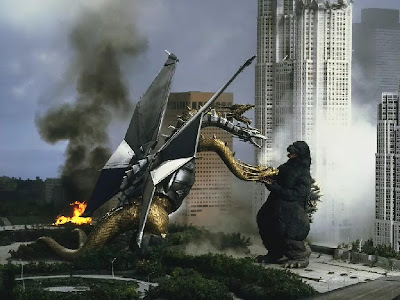 In the plot "King Ghidorah" is initially defeated by "Gojira" and "Wilson" and "Grenchko", the real villains, are killed. Emmy returns to the future. She locates "King Ghidorah's" remains in the Sea of Japan and they are turned into "Mecha-King Ghidorah" to fight the new "Gojira". "Gojira" is now defeated and dropped into the Sea of Japan as the film ends with Emmy returning to 2204.. There would be four more "Hesei Era" films from Toho Studios to complete the time travel story in a way. The last actually being the most important. There is no need to look at the next three stories and I will skip to the final feature with another screenplay by Kazuri Omori. That might be described as his means of attempting to clarify the discrepancies people mentioned in his Time Travel scenario. Released on December 9, 1995 was "Gojira tai Desutoroia (Godzilla vs Destroyah)". Set in 1999, or 45 years after the 1954 attack on Tokyo by the "Hesei Era Gojira" as related in the 1984 and 1989 films. Omori throws the viewer a curve ball and presents his audience with " Emiko Yamane" portrayed by the original actress Momoko Kochi. Looking in her apartment the audience sees pictures of "Emiko's" father, of "Dr. Serizawa" and an "Ohto Island" young man that her father, according to Omori, adopted. The viewing audience met him in the 1954 original "Showa Era" film after loosing his brother to "Gojira", but without any knowledge of a possible adoption being mentioned in that picture. This story contains an adult brother and sister from "Emiko Yamane's" adopted brother's marriage as main characters. What we do not see is even one photo of "Hideto Ogata". Additionally he is not mentioned in this screenplay and it is as if the ending of the original "Gojira" never happened. The audience now finds out that there have been two "Gojira's", but not the two in Kazuki Omori's "Gojiria tai Kingu Gidora". The first in 1954 was destroyed by "Dr. Serizawa's" Oxygen Destroyer that same year. As in the 1954 original that creature came from a cavern off of Ohto Island. In this scenario "Serizawa" was "Emiko's" only love and he died releasing the Oxygen Destroyer. Next that the "Gojira" that appeared in the 1984 picture is from Lagos Island. Although not clearly stated it was created sometime in the 1970's by the Russian submarine disaster. Again no specific date, or year is given. "Hesei" films up to this one. That time line also contains a part of the Second Time Line. Than "Godzilla vs Destoryah" which references a separate 1954 "Gojira" and a separate second "Gojira" appearing during the 1970's without the "Futurian's", becomes the Fourth Time Line. Although some fans of the "Godzilla Franchise" consider this explanation as final. I would point out that there are discrepancies in it. For example acknowledging how characters in 1984 remember a 1954 attack. It is up to my reader, if you view these pictures, to make your own opinion of this very interesting Time Travel paradox. Who can forget some of the other 1990's Time Traveling titles such as "Army of Darkness". When "Ash", Bruce Campbell, goes back to the 14th Century to fight the Army of the Dead. In the last entry of Sam Raimi's original ":Evil Dead Trilogy". The Teenage Mutant Turtles found themselves in Feudal Japan in "Teenage Mutant Turles III". When "April O'Neil" is switched with a Samurai, what about watching Bill Murray keep repeating "Ground Hog Day" until he gets things right and wins the girl. In 1994 "Trekkies" saw the ultimate combination as "Captain James T. Kirk" and "Captain Jean-Luc Picard" meet in an alternate Time Stream in "Star Trek Generations". On March 6, 1960 Episode 30 of the first season of Rod Sterling's "Twilight Zone" premiered. The title was "A Stop at Willoughby". On October 20, 2000 in the motion picture "For All Time". Charles Lattimer, Mark Harman, has a similar experience based upon Sterling's original story. Charles Lattimer is facing middle age and a marriage going no where. On board a commuter train he rides weekday after weekday to work. Lattimer discovers a Time Slip that happens only when the train goes through a specific tunnel. Then he finds an antique watch that coupled with the Time Slip will let him enter the 1890's. In the past Charles discovers another women who he falls in love with. In a plot twist the watch gets broken and the Time Slip starts to close. Which time will Lattimer choose before he's stuck For All Time in the past? Now in 1980 experiencing writers block and having just broken up with his girlfriend. Richard Collier decides to leave town and ends up at the "Grand Hotel" in Michigan. There he starts up a conversation with an elderly bellhop who has been with the hotel since 1910 and they become friends. Later on Collier can't take his eyes off a photograph of a women in the hotel's historical display case. From the bellhop he learns she was a famous actress named Elise McKenna, Jame Seymour. He begins to obsess over her and starts researching her life. Richard Collier discovers Elise McKenna is the women who gave him the pocket watch and has died. However, with further research he finds Elise's former housekeeper. The housekeeper permits him to see some of the actresses former things and seemed to be expecting Collier. Among them is a book on Time Travel. Richard Collier next locates the author of the book and learns that Elise McKenna had read it multiple times. Collier wishes he could be in 1912 and meet the actress. Without realizing what he has done to himself. Richard Collier has been self hypnotized while in a room of the "Grand Hotel" and travels back to 1912. He will, of course,.fall in love with Elise and give her the pocket watch as a gift. Everything seems perfect for the two lovers. Maybe too perfect. At one point after spending the night together they are talking. Richard reaches into a pocket of his suit and finds a Lincoln penny minted in 1979. Suddenly he is being pulled out of the past to the present. He awakens in the same hotel room the pair had shared in a sweat with a terrible fever. He will die in the "Grand Hotel", but in death the two lovers will be reunited. On the other hand there was "Donnie Darko". Premiering on January 19, 2001 at Robert Redford's Sundance Film Festival. 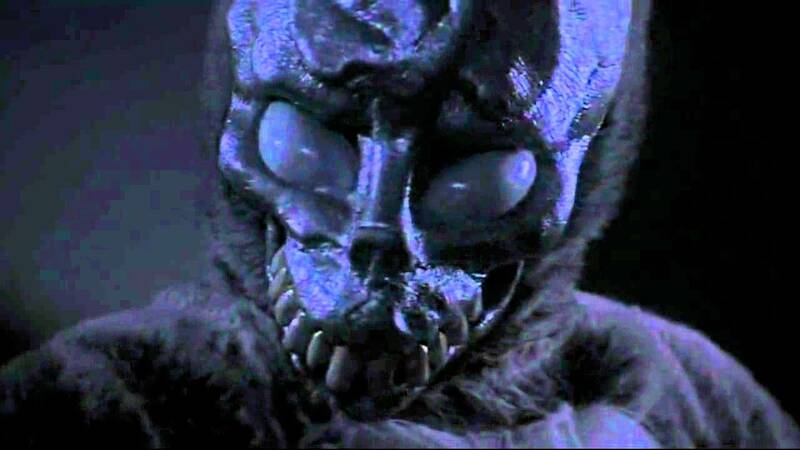 This tale has "Donald 'Donnie' Darko", portrayed by Jake Gyllenthaal, in his bedroom on October 2, 1988. He wakes up to be led outside of his house by a man in a Giant Rabbit's costume. The Rabbit says his name is "Frank" and that the world will end in exactly 28 days, 6 hours, 42 minutes and 12 seconds. When "Donnie" returns to his bedroom. There is a jet engine from a passenger plane in it. The FAA has no idea how it got there, or where it came from. As there have been no reported airplane crashes. Over the length of the picture "Donnie" will be seen by a psychotherapist and be diagnosed as having "Daytime Hallucinations", By the conclusion of the picture the real "Frank" will be discovered and lives will be changed as a Time Vortex is created, events reverse and are changed. While an airplane in the vortex has an engine fall off and land in "Donald 'Donnie' Darko's" bedroom crushing him to death. This is an excellent, dark for "Darko", weird Time Travel feature. This old film buff thinks writer/director Richard Kelly missed an interesting play on the Giant Rabbit. I am thinking of the classic comedy "Harvey" starring Jimmy Stewart from October 13, 1950. Stewart's eccentric "Elwood P. Dodd" has an imaginary 6 foot 3 and 1/2 foot rabbit friend named "Harvey" and everyone thinks he's crazy. Just a thought on how instead of "Frank". What if the rabbit had been named "Harvey" and how the subtle reference to the classic would have worked. Director/screenplay writer Lee Si-myung's motion picture opens in 2009, but not the 2009 known by South Korean's in our past 2009. It is an alternate time line that has all of the Korean peninsula still part of the Empire of Japan. There is a hostage situation in the city of Keijo at a museum and two members of the Japanese Bureau of Investigation are sent there to end it. They do, but one of them Masayuki Sakamoto goes further to find out what is behind a terrorist group only interested in, what is to him, just a piece of old rock. Sakamoto discovers that the group has been after a crescent shaped rock known as the "Lunar Soul". Additionally that a joint Chinese-Korean-Japanese archaeological expedition had discovered a stone temple that can facilitate Time Travel. As a result a Japanese Nationalist Group sent a person back on the real 2009 time line to October 26, 1909 to prevent the assassination of Resident-General Ito Hirobumi, seen below, a real event in Korea's history. As a result of this action the history of Japan and Korea are changed. The "Lunar Soul" is the means of restoring the real time line The following is a list of Korean and Japanese historical events changed to the alternated time line in the 1987 novel by Bok Geo-il and shown in this feature's screenplay. 1909: An Jung-geun's assassination attempt against Ito Hirobumi is thwarted by a man named Inoue. 1910: The Empire of Japan Annexes the Korean Peninsula. 1919: The March 1st Movement protests are suppressed with violence. 1921: Inoue, Itō's savior, becomes Chosen's (Korea's) second governor-general. 1932: The assassination of Yoshinori Shirakawa by Yoon Bong-Gil is prevented. 1936: The United States and the Empire of Japan enter World War 2 as allies against Nazi Germany. .1960: Japan becomes a permanent member of U.N. Security Council. 1965: Japan launches its first satellite, Sakura 1 (presumably as part of the Space Race). Sakamoto meets and starts to fall in love with Oh Hye-rin, above. On the alternative time line she is one of the main terrorists, but on the real time line she is a Korean researcher. At the climax of the picture Sakamoto meets the researcher and the two, who have never actually met, seem to have immediate feelings for each other as he is about to destroy the temple. On November 22, 2006 Denzel Washington became a time traveler in "Deja Vu". Where he plays a Bureau of Alcohol, Tobacco and Firearms agent. Who becomes part of an experiment in Time Travel. Traveling back in time to prevent a domestic terrorist attack in New Orleans and falls in love with a women who dies. He then attempts to keep going back in time until he can save her. On television in 2002 was "Tru Calling". A weekly series about a young women who works in a morgue and receives messages from corpses to prevent their untimely deaths. She then travels back in time to help them. The show ran from 2003 into 2005. Then there was the American series "Lost" which had a subplot about Time Travel with one of its characters. That series about airplane crash survivors on an uncharted island ran from 2004 into 2010. In the U.K. and eventually in Canada and the United States. Viewers of "Dr Who" saw a spin off "Torchwood" running from 2006 to 2011. 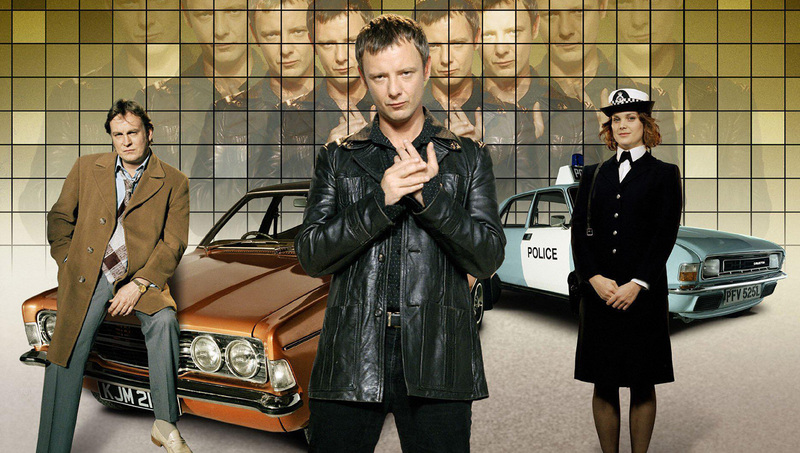 Another interesting U.K. television series was "Life On Mars". The title coming from David Bowie's 1973 single of the same name. The program was about a police officer that accidentally gets sent back in time after being hit by a car. He is then forced to adapt to life in the 1970's. This series ran from January 9, 2006 through April 10, 2007. An American version of the series ran from October 2008 to April 2009. While a Spanish version of the series ran from April to June 2009 and that was not all. There was a Russian adaption of this British series under the title "The Dark Side of the Moon" in November 2012 and one more from the Czech Republic called "World Under the Head" from January to March of this year, 2017. Returning to motion pictures was a German feature "Rubinrot (Ruby Red)" released March 5, 2013. This was the first feature in a trilogy written for young girls and turned into feature films. German actress Maria Ehrich portrays "Gwyneth 'Gwen' Shepherd". "Gwen" is a 16 year old girl who has inherited her families Time Traveling gene and the trilogy follows the girl's adventures. This film was followed by "Sapphire Blue" in 2014 and "Emerald Green" in 2016 completing the trilogy. For my final picture I want to mention "ARQ". Released September 6, 2016 on Netflix. This United States-Canada co-production deals with a variation of "The Time Travelers" and "Ground Hog Day". As you have "Renton" and "Hannah" stuck in a time loop that changes for eight loops and stabilizes every ninth loop, but if they can't escape at that point. Then the cycle of nine repeats itself. Unlike say "Ground Hog Day" were Bill Murray is seeing the exact same events and now knows how to handle them. In this case there are slight variations in each cycle including "Renton" and "Hannah" being killed and returning to life. The plot has "Renton" has stealing the ARQ which is a perpetual motion machine he designed for a company called TORUS. The two are awaken in his bedroom by a group of men after the ARQ, They belong to a Rebel Group called "The Block" and want the machine for their own use to stop TORUS. At the climax "Renton" and "Hannah" realize they may have been repeating these events over a 1,000 times and how the ninth loop resets. When they reach it the two leave themselves a note in the hope their selves will be able to end the Time Loops and get the ARQ to "The Block". The film is worth a viewing even with it's low budget. Movies were the source of two short lived television series "Time After Time" and "Frequency" both in 2017. As of this writing the television version of "12 Monkey's" is still on the air. I could keep Time Traveling through Time Travel motion pictures and television programs in this article/ I believe my reader has a very good idea of how the two industries minds work in this area. A number being only variations of the same basic themes. 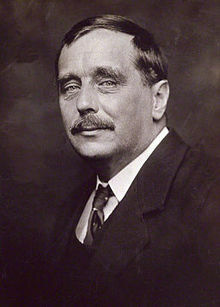 Herbert George Wells would be amazed about what his novel partly contributed too. In fact during his life time he could have seen six such motion pictures.